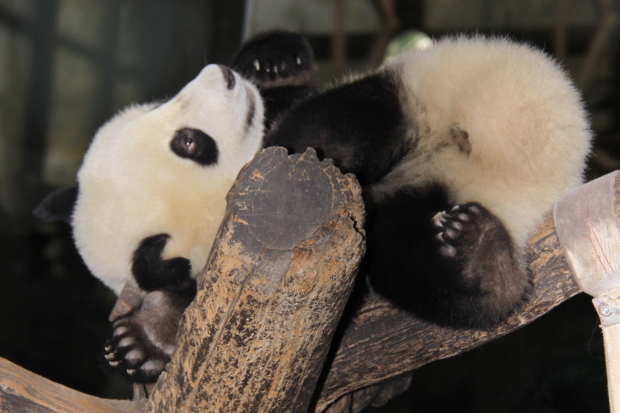 On July 2, 2010 Da Bai Tu (which means Big White Rabbit) was born as Ying Hua’s second daughter at the Beijing Zoo. In the wild, as a second born cub, Da Bai Tu would have died. In captivity it turned out that she was the cub that survived. Her first born twin sister was crushed to death by their inexperienced first time mom. 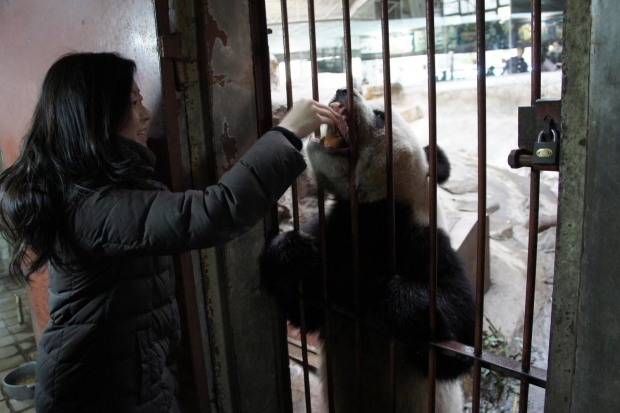 Da Bai Tu was transferred to Bifengxia on the day she was born to be raised by keepers. Here are some youtube videos of Da Bai Tu playing with her friend Xiao Bai Tu (which means Little White Rabbit), daughter of Jini. Xiao Bai Tu will be 2 years old on August 13.